just the crucifix attaching part. But I think The Holy Spirit was having me wait for just the right little person…can’t wait till she gets it! 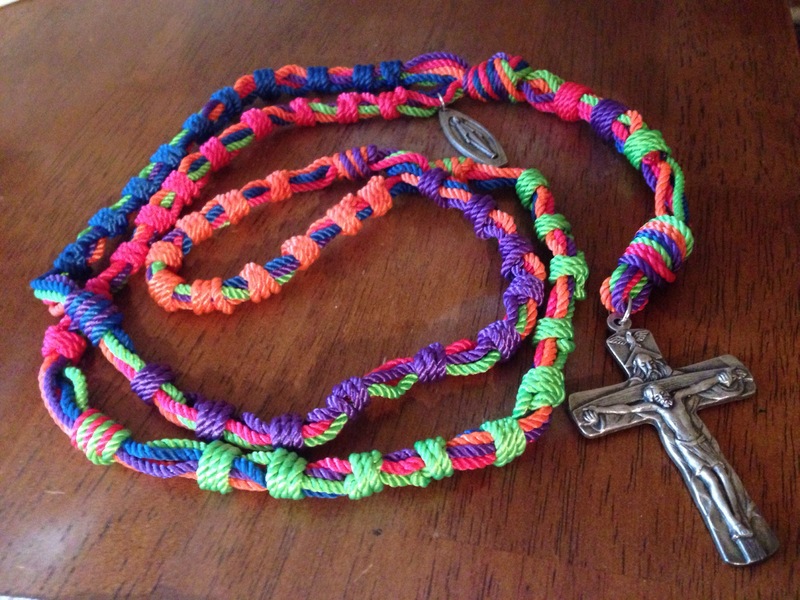 I’ll do better – go to the Rosary Army web site New Evangelization and find out where to get the twines order the colors you like and I’ll help you learn how to make – then you can make them pray them and give them away too!